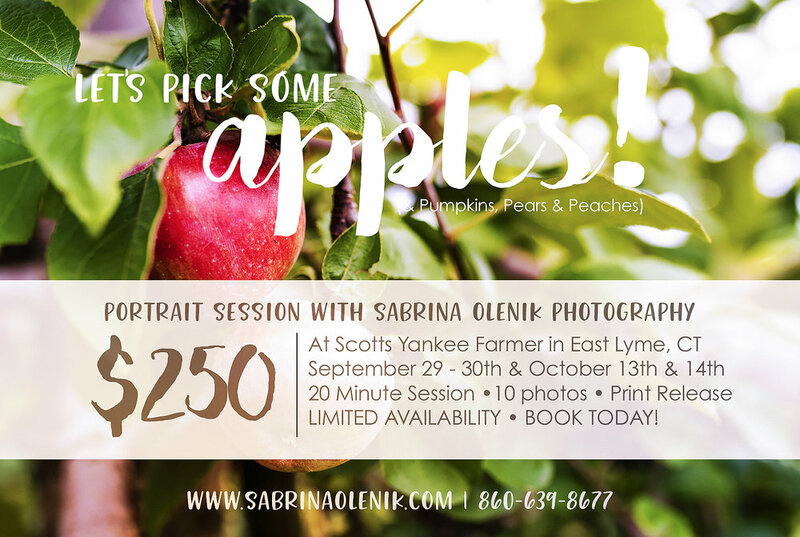 10 gorgeous photos and portraits to treasure (color and black + white), photo print release and your pick of apples to take home! Session is $250. Email or call to book! Soooo.... this session was fun! Jaxson created such a beautiful piece of art didn't he?? ;) I'm delighted to offer these sessions. 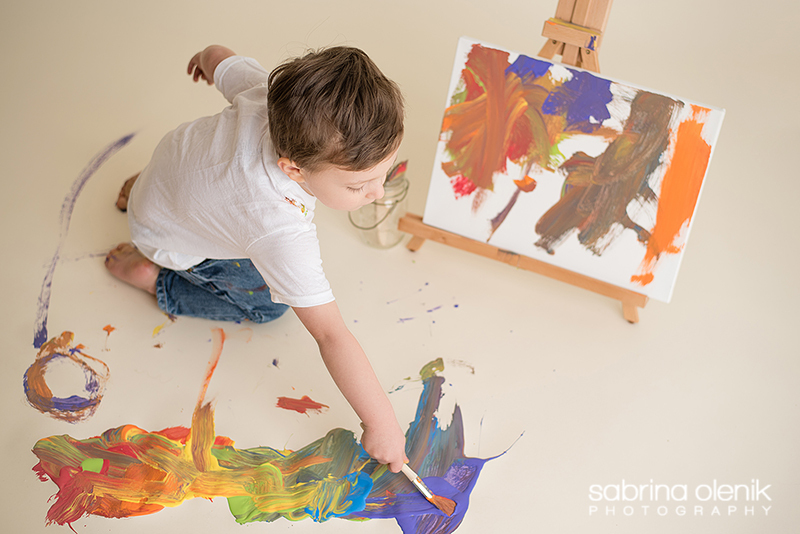 You come to the studio and your mini artist creates a masterpiece to take home. Yes, it's gonna get messy and that's A-OK with me! I'm offering this session for children ages 2 and up. 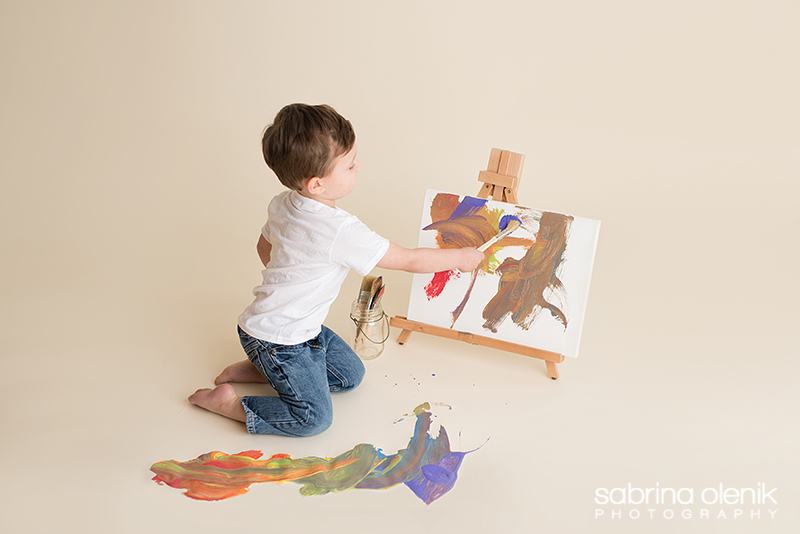 These are so cute for 2nd birthday photos and are a great alternative to Cake Smash sessions. 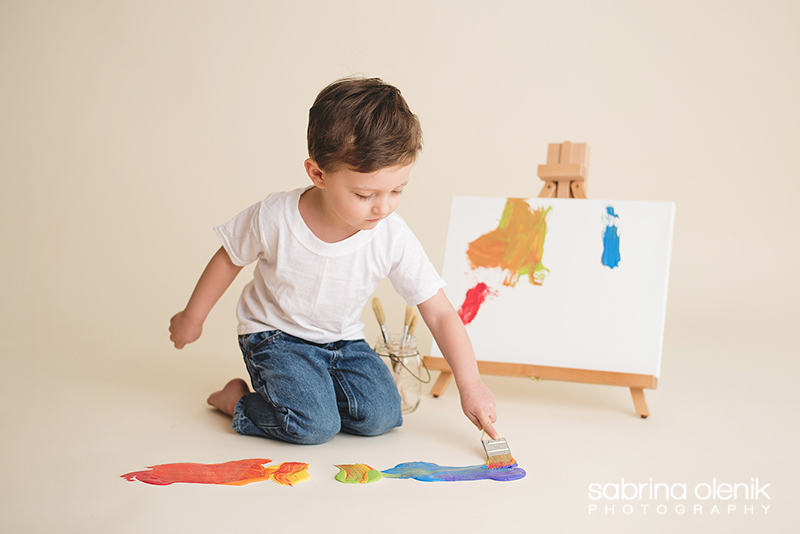 Your choice of permanent acrylic paints or washable paints are provided (both non-toxic) as well as the brushes and of course the canvas to hang proudly on your wall. 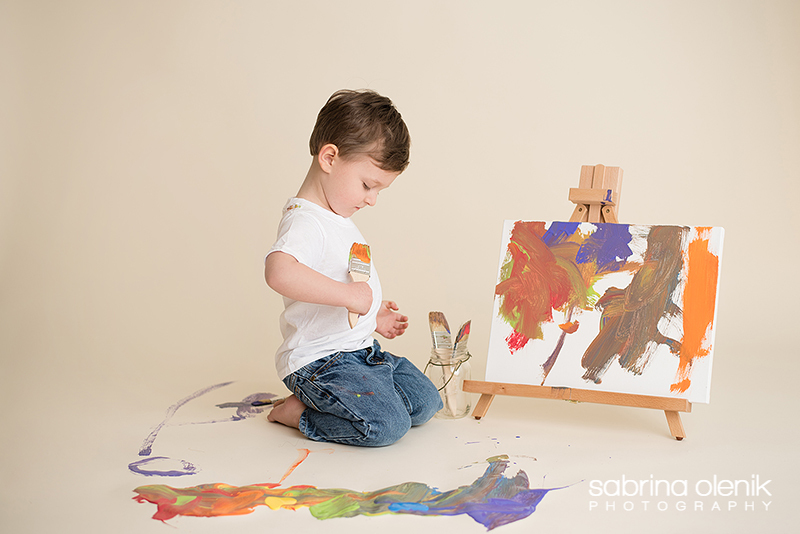 Call or email me if you want to set up a Paint Splash session! 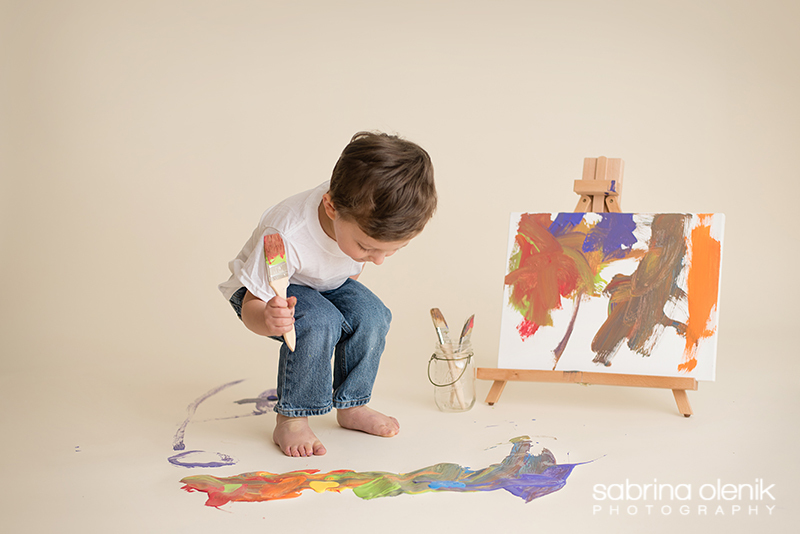 A fun, colorful, one of a kind Easter Mini Photo Session ON SALE??? EGGCELLENT! You don't want to miss this! This session is ideal for babies (who are able to sit unassisted) and children up to age 6.